Newer versions of KSP support Unity’s updated UI system (technically available since KSP 1.0, but only really practical since 1.1), which is a major improvement over the old OnGUI system. Rather than rebuilding the UI every frame using the esoteric GUILayout and GUI system, the new Unity UI is built using standard Unity objects and hierarchies. This significantly improves performance, reduces the garbage created, and allows for some fancy effects that weren’t practical with OnGUI. The only problem is that building the new UI entirely through code is extremely tricky, to the point of being impractical in all but the simplest cases. So there are basically two options for using the new UI. One is built into KSP and is perfect for creating relatively simple windows that don’t require much customization. This is the PopupDialog system, it uses notations similar to the old GUILayout system, but generates a new Unity UI object. There is a thread with more details on PopupDialogs and some examples. The other option is to build your UI in the Unity editor, export it as an AssetBundle, and load it into KSP. There are also two options for how to handle this. 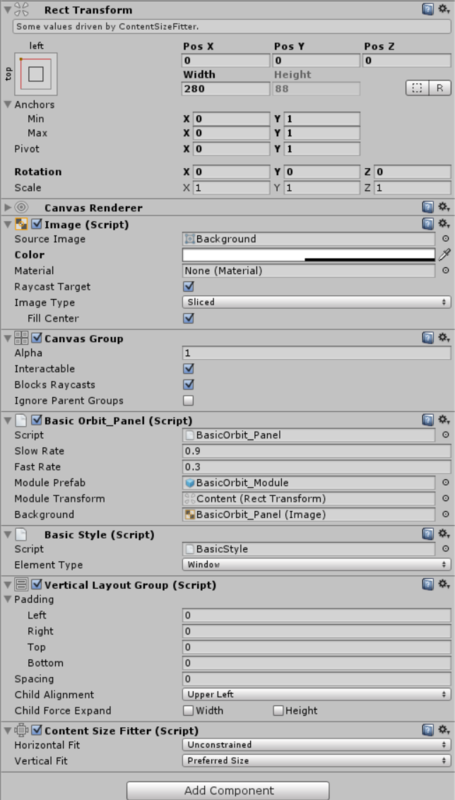 You can create the UI in Unity without importing any assemblies into the Unity editor. When you load this UI into KSP you will need to manually hook up all of the elements through code. Things like the function called by a button, or the string of a text element will all have to be manually assigned. This is OK for simpler UIs, but can become prohibitively tedious for more complex UIs. Sarbian’s GC Monitor is an example of this type of UI. For a more complex UI it can be simpler to import an assembly directly into the Unity editor, allowing you to set button, or toggle listeners, and to store references to UI elements where needed. The only problem here is that you cannot import an assembly that refers to KSP’s Assembly-CSharp.dll, the primary KSP assembly. This means that any mod using a Unity UI will need two assemblies, one to handle the KSP side of things, and another that can be imported into Unity and will handle the UI side of things. The KSP assembly can keep a reference to the UI assembly, but the UI assembly can’t refer to the KSP assembly, since that will refer to Assembly-CSharp. This means that communication between the two assemblies will be difficult. But before we get to that we can go over some of the basics of Unity UI creation (generic UI creation is also broadly similar to KSPedia creation, which is covered in its own tutorial). I won’t go into too much detail, since there are a number of very thorough tutorials and examples available. Check out some of these; pay particular attention to the RectTransform as that is the core positioning component of all UI elements, and it can be quite tricky to get a handle on. Using Basic Orbit as an example project we’ll go over several different areas of UI creation, starting with making a simple, static window, one that can’t be re-sized and has a fixed amount of UI elements. I’ll be using the same formatting as in the KSPedia tutorial, with Unity Editor screen elements Bolded and UI objects and elements Bolded and Italicized. The code for Basic Orbit is available on GitHub. Much of the methods used here come from Kerbal Engineer Redux (which uses the Unity UI only for its toolbar button), its source and Unity project can be found on its GitHub page. This is the window we’ll be creating and hooking up to KSP today. It controls the visibility and some options for other screen objects. To start with we need a new Unity project (I’m using Unity 5.2.4f1, since this is the version supported by the KSP Part Tools - KSP 1.4.x uses Unity 2017, but earlier versions should still work). I would suggest making a separate project folder for each UI, you can create a new project in the Unity startup window, you can then copy the KSP Part Tools files into that project’s Asset folder, or just import them into Unity in the normal way. We only need the Part Tools for the Asset Compiler function, which we’ll get to later. The first step is to install Unity and add the Part Tools package. Once Unity is installed open it and create a project for KSP (there are probably other tutorials that cover setting up Unity in more detail; that isn’t really covered here). All Unity UI windows must be the child of a Canvas element, so we’ll need to add one here. 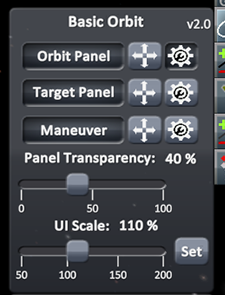 In general, we don’t need to export this Canvas, since our UI can be added directly to one of KSP’s Canvases, but we need it in the editor to actually see anything we create. We’ll go over the background images used for the window, and more complex anchoring and pivot functions later, but for now, we can start adding the UI elements to this simple window. To make what we need we basically only have to adjust the RectTransform component for each UI element in the Toggle element. The Toggle itself is made up of a Toggle Script, which controls actually activating and deactivating it, the Background Image, which by default is the empty checkbox, the Checkmark Image, which is only shown when the Toggle is put into the “on” state, and a Text Label. I’m not going to go over how to add all of the different UI elements. There are numerous UI tutorials that thoroughly cover different element types; sliders, standard buttons, and text labels are all fairly straightforward to add. For static windows it isn’t too complicated, the RectTransform can get quite complicated, but the best way to understand it is to simply play around with it and change values to see what happens. More complicated UI layouts, and variable size windows will be covered later on. Now to get to the fun part. By making use of the Unity Editor we can assign methods to all of the toggles and buttons, store references to text elements so they can be updated later, spawn new windows, and much more. To do this we need to make a new assembly that can be imported into the Unity Editor. Any MonoBehaviours defined in this assembly can then be added as scripts to our UI objects. These can be scripts that control specific behaviors, like switching text colors when mousing-over an element, or that control the various window functions. I’ll be referring to the assembly that is imported into the Unity editor as the Unity Assembly, and the assembly that uses KSP code as the KSP Assembly. We create our Unity Assembly the same as any other, it should use .Net 3.5, but it should only add references to UnityEngine and UnityEngine.UI, it should not have any references to KSP assemblies. For our KSP Assembly we create that as always, and we add a reference to our new Unity Assembly. This means that the KSP Assembly can call any public methods from the Unity Assembly, modify any public fields, and implement interfaces. But the Unity Assembly can’t directly communicate with the upstream KSP Assembly, or directly use any KSP code. There are a few ways around this, we could use some sort of listener and events system to trigger methods in the KSP Assembly or use interfaces in the Unity Assembly. We’ll be using the interface method. Any class that inherits from a Unity MonoBehaviour can be imported into Unity and added as a component to any other Unity object. For the simple window that we’ve already created we have a Text element that needs to be updated in-game (the little mod version label), and several toggles. Because we want to set the initial state of some of these toggles (one controls whether a separate window is open or closed, so if it’s already open that toggle should be set to the on state), and because we want some of the toggles to affect others, we need to store references to the Toggle elements. And we need to assign listeners to the Toggle scripts. One thing to note about setting Toggle states like this, whenever you change a Toggle’s isOn field, it will trigger that Toggle’s Listener Events, so anything you or anyone else has attached to this Toggle will be triggered. One way of getting around this is to have a Bool set to False while you are doing the initial setup. Then set your Toggle Listener to not do anything when the Loaded Flag is False, after the setup is complete you can set the Flag to True. Now to add listeners to Toggles and Buttons. The Unity UI attaches listeners to Unity Events triggered by a Button, Toggle, Slider, etc… Any public method that meets the requirement of that particular event can be added as a listener. Inside the Inspector tab for any Unity element with a Unity Event there is a section for adding listeners, you can add more by selecting the plus button on the bottom. Now we can just basically repeat these steps wherever needed. If you need access to an object somewhere, just add a reference to it in your script and assign it in the editor. If you need more listeners, just add them. More complicated behaviors will be explained later. One thing to note about Buttons, Toggles, etc, is the Transition and Navigation elements in their Inspector tabs. Now that we have our UI hooked up to the Unity Assembly we need to get it communicating with the KSP assembly. There are probably several ways of handling this, but I’ve been using Interfaces in the Unity Assembly to handle it. The basic idea is to create one or more interfaces with the methods and fields needed to send information between the two assemblies, then we add those interfaces to objects in our KSP Assembly. This basically serves two purposes, the interface us used to set the initial state of the UI when it is created, using information from KSP, this could be persistent data, or just anything that can be altered at run time, like the name of a vessel. And it allows for the UI elements to make changes on the KSP side, by setting persistent data, or triggering a KSP-related function. In our last example we had a window with several Toggle elements, a Text field, and a method for the alpha Slider, so the interface contains what is needed to setup those elements, and to transfer data to the KSP Assembly for persistent storage. So now we can set the UI’s initial state by implementing our interface on an object in the KSP Assembly and calling the Setup method. Now we have to be able to actually turn on the UI. To do this we need a reference to the UI Prefab and a button somewhere to trigger the UI. We can let KSP load the AssetBundle that was exported from Unity, anything with a .ksp file extension should be loaded, or we can load it ourselves (KSP won’t load it twice, so there is no duplication of resources doing it this way; you can also just remove the .ksp extension to hide it from KSP’s asset loader). I’ve been loading it myself, it works find, and it allows me to open it immediately upon starting KSP. If we need to process or update all of the prefabs it can be useful to load in all of the prefabs, but to generate a window all you really need is the primary prefab (anything that will be created directly by the KSP Assembly). We can store prefabs as references in our Unity scripts by adding a serializable GameObject. This should be enough to get a basic window into KSP. Future sections will go over dynamic UI generation and UI layouts elements, specific UI features, KSP-style UI elements, and using TextMeshPro for all text elements. They should also, hopefully, be much shorter, since they won’t have to cover so much information. If you want to setup your UI with the legacy Unity GUI style elements, they are available for free on the Asset Store. You will need to import them into Unity and use the Sprite Editor to set the Splicing lines properly (so that the images stretch to fit whatever size is needed). After that you can simply drag the sprites into your Image elements wherever needed. In this section we’ll go over how to use layout groups, how to make your window adjust its size to the content within, and how to attach a variable number of elements using prefabs. In principle Unity UI layout groups are simple, there are Horizontal and Vertical Layout groups. By adding child elements, with Layout Elements attached, to a GameObject with a Layout Group the children will be organized according to their order, with their size adjusted according to the Layout Element settings. Basic Orbit has two panels that use Layout Groups to create a variable-sized window. These two windows (the background image transparency is turned down very low) use the same prefab, but a different number of readout modules. There are two components that drive windows like this; the Layout Group and the Content Size Fitter. 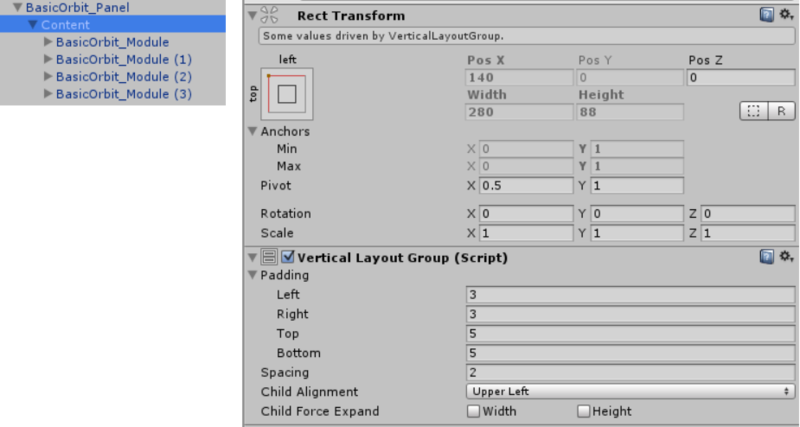 Vertical and Horizontal Layout Groups are standard components that can be added to any UI element through the Add Component button in the Unity Editor Inspector Panel. Only one Layout Group can be placed on a GameObject, but as many as is necessary can be placed on child objects. For this example we are only using Vertical Layout Groups, Horizontal Layout Groups work essentially the same way. Now we have a window with several Layout Elements under a parent Vertical Layout Group. To get the window to adjust automatically to these, and any additional elements, we’ll need to tell the window how to fit everything. At the very top-level Layout Group we need to add a Content Size Fitter component. Only one should be added to window (which can sometimes make things tricky in Unity, since we are usually creating all the different UI elements as separate objects that will be combined later in-game) and it should be added alongside a Layout Group element. These are the scripts attached to the top-level object in this hierarchy. It’s important to note that the Image element is included here; this is used as the window’s background image and will be re-sized along the window according to how many Layout Elements are present (the Canvas Group is used to control the fade in and out behavior that we will get to much later). Also, note how the RectTransform’s Height field cannot be altered, since it is under the control of the Content Size Fitter. The Layout Groups and Content Size Fitter are simple in principle, but can get quite complicated to deal with when working with, and adjusting Layout Elements. When we want to dynamically add Layout Elements to a Layout Group it is sometimes necessary to make separate prefabs that can be instantiated multiple times depending on your needs. 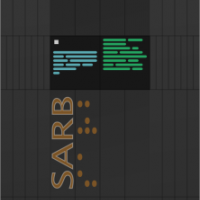 Basic Orbit is constructed this way, with each readout module consisting of a Layout Element and two Text Elements. The prefab is then instantiated as many times as is necessary and added to the readout panel. For the parent panel we just need to store a reference to the Prefab GameObject, and to the Transform where we want to add the prefabs, this transform should have a Layout Group that will control the size and positioning of the elements. The picture with the Content Size Fitter above demonstrates this in its Basic Orbit_Panel script. Now that we have our Layout Groups and Prefabs setup we need to actually add them to our window in-game. First off we need a script attached to the window with references to the Prefabs and to the Transform where they will be added (see part I for how to generate these scripts; prefabs can be dragged into a Serializable GameObject field the same as any other object). Using a list of the layout elements from the KSP Assembly (using the interface method described in part I) we can instantiate and add our new objects to the Layout Group one at a time. Since not all elements will necessarily be active when they are first added we set their active status based on information from the KSP Assembly. It is sometimes useful to keep references to the UI elements that we are adding, that way they can be updated, removed, or monitored in some other way whenever we need them. There is a special case when dealing with Layout Elements where you may want an object to fit the size of its text content, for instance, you have a button that might have a long text string. Layout Elements and Layout Groups can be used to handle this. There is also a section in the Unity tutorials that deals specifically with this. Note here the Layout Element on the Text Element (left), with its Preferred Height field left blank, the Pivot position, and the Layout Group on the parent object (right) with the Toggle Script and Image. 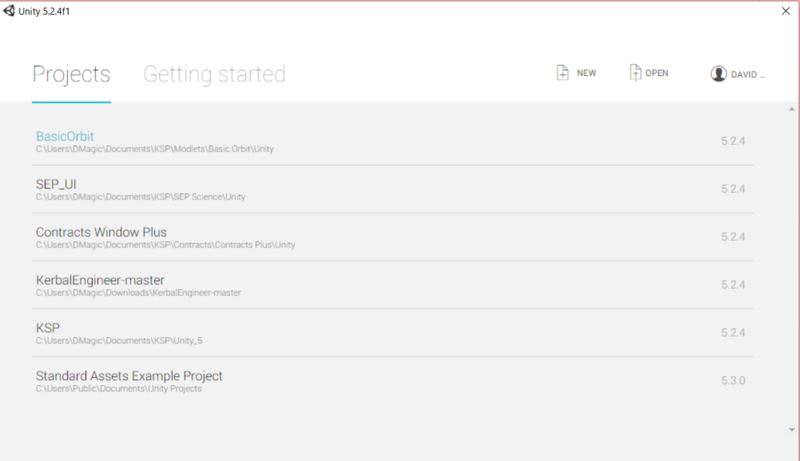 The Contracts Window + source and Unity project files are also available on GitHub, though in general I would recommend not using it as a reference, it is an extremely complicated UI and has many elements that are adapted specifically to its needs. In the next section we’ll go over how to apply KSP style UI elements to our creations. In this section we’ll go over how to implement style elements for your UI so that your windows, buttons, sliders, etc… can match the KSP style. KSP defines a UISkinDef that contains all of the sprites used for the different states of all the common UI elements. Using this we can assign those sprites to our UI. You could also, theoretically define your own UISkinDef, using the old Unity Smoke UI elements, for instance, and possibly allow for switching between the two styles (if you only want to use the Unity UI style it would probably be easier to just assign all of the sprites within Unity. The basic method used here, like much of the material covered in this tutorial comes from Kerbal Engineer Redux. The first step is to create some kind of tag for all of the different UI elements that we are using, this will be used to identify those elements and to determine which KSP style to apply to them. Once you’ve added the script to each UI Element that needs styling you’ll need to create a method for processing each UI Element from in-game. Engineer processes each element whenever it is created, but I think it’s better to work at the prefab level, loading and processing each prefab as soon as possible so that it only needs to be done once. Now that we have the KSP style elements we can apply those to our UI elements. Since the Style script is attached to the same GameObject as the UI Element that needs processing the method is simple. In the next section we’ll go over how to use TextMeshPro elements in your UI. These are the new vector font text elements used by KSP that make text much cleaner and more readable. The overall method is similar to how UI style elements are applied, but there are some special concerns that need to be covered to make it work properly. 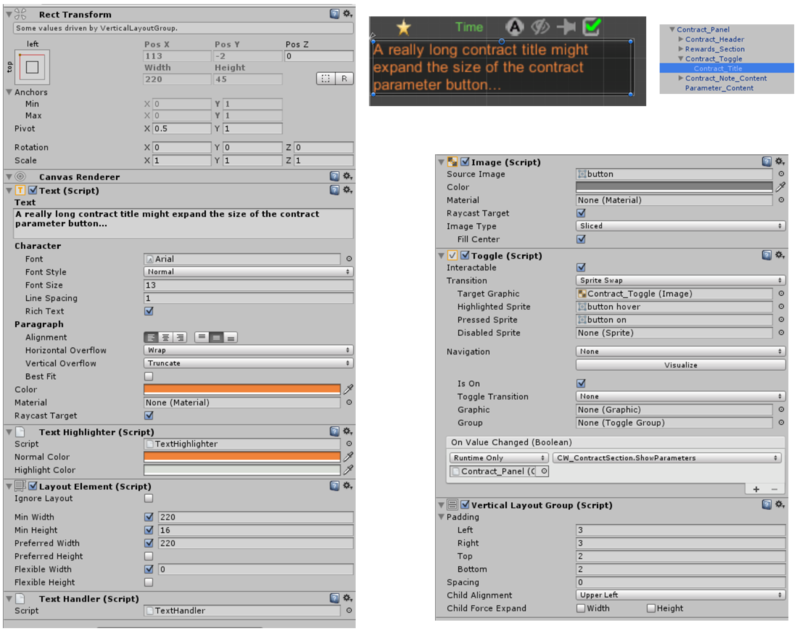 This section will cover how to replace the standard Unity Text elements with the fancy new TextMeshPro elements included with the latest version of KSP. Since we can’t add the KSP assemblies to Unity we won’t be able to directly add TMP elements to out Unity project, unless you happen to own the $95 TMP Asset. So instead we’ll have to use standard Text elements as placeholders then do all of the replacements from in-game. This turns out to be fairly simple, the only real issue is that we need some method for dynamically updating the text, or other properties from in-game. Much like in the last part of the tutorial, the first step is to create a simple script that can be used to tag all of the Text elements that we wish to replace. To handle text updates the simplest method is to create an extension of the standard TMP Text Element with a few added methods. The only tricky part to all of this is how we take the placeholder Text Element and replace it with the Text Mesh Pro Element. The method for this works similar to assigning style elements, covered in the last part. That’s basically all there is to it. The result is much cleaner looking text that scales well and is readable in much smaller fonts. The only real problem areas are UI elements that require a standard Text Element, such as a Text Input Field. A custom input field will be required to handle these, or you can just leave them as standard Text, since they generally aren’t used as much. The full source code for the most complete version of the TextHandler and Text Mesh Pro extension (from Contracts Window +) are included below. Feel free to use the code directly. A most excellent topic. Pinned for the foreseeable future. I have several updates made for SCANsat that I'll add here eventually, but for now I'll just add a section on how to get a Text Mesh Pro Input Field into KSP using a method similar to that used for the TextMeshProUGUI. 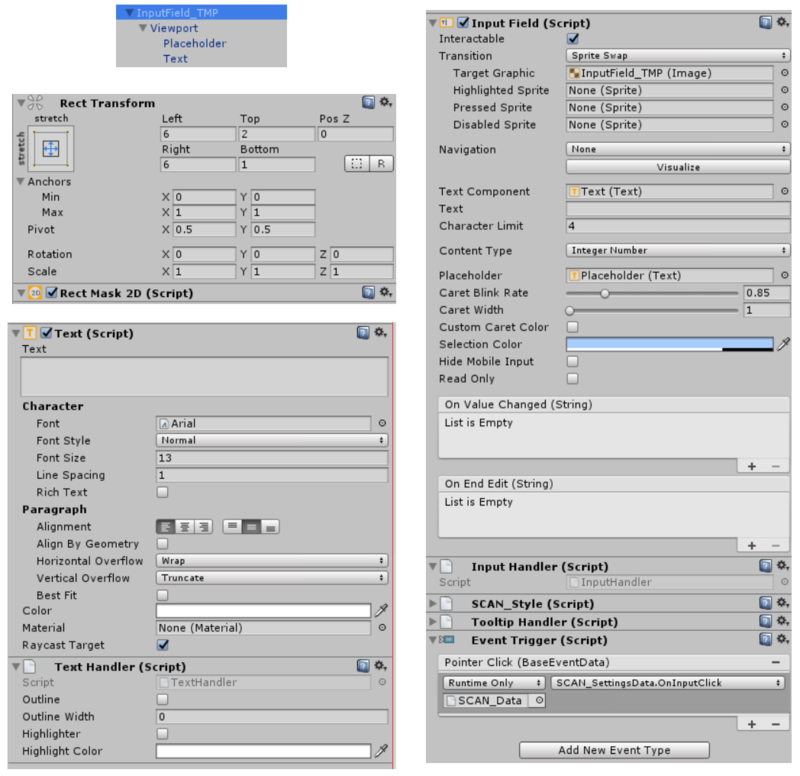 This method follows the same basic idea as the previous entry: tag any standard Unity Input Fields that you want to replace with a small script, create a TMP_InputField extension class in the KSP Assembly, then convert the Unity Input Field into a TMP_InputField when processing the UI components. 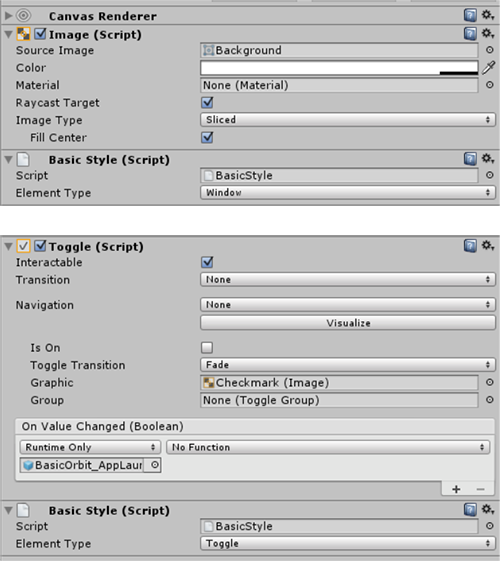 Make a script for tagging of the Unity Input Fields that need replacing and to handle a few things. This script has two UnityEvents and a few fields. The OnTextEvent can be used to update the text for the input field; this is separate from the PlaceHolder text, which could, if needed, be updated from another similar event. A TMP_InputField extension class is used to listen for text input and a few other things. It adds a small method to the InputHandler's OnTextUpdate event to update the input field's text value. The Input Field needs to be setup in Unity in a certain way to properly replace it with a TMP_InputField. I'm using an Event Trigger and the OnInputClick event to handle control locks whenever an Input Field is clicked on, as you can see in the bottom of the Inspector Tab. As before, we process the TMP_InputField during loading to replace all standard Input Fields. We do this by caching a few values, generating a new TMP_InputField, and assigning the required values, and assigning the TextMeshProUGUI components. After all of this you'll end up with Input Fields that use the much nicer Text Mesh Pro text, providing better scaling and better support for other input languages. I'll add links to the full code for this once it is online. You can download it from the Asset Store for free, so I guess my tedious workarounds for not having access to TMP in Unity are no longer necessary. Different versions though until KSP is upgraded to the version of Unity that has the free TMPro embedded in it. Just for you to be aware of. Nice tutorial. Definitely. And I got 90 percent of the way through setting up a GUI and decided my forehead couldn't take one more smash against my desk. And I got 90 percent of the way through setting up a GUI and decided my forehead couldn't take one more smash against my desk. Personally, I made it to the first screenshot of Unity. Have you seen the other API? Yes, thanks, that's exactly what I did. It's not what I wanted but in 10 lines of code I achieved what was taking me hours and costing me money in pain killers. I was hoping for a set of 4 buttons with arrow icons to direct movement. After seeing exactly what it was going to take to achieve that... I mean I honestly tried. I got to the point I was adding the code into the KSP Asset as he calls it, and ended up throwing my hands up in disgust because it made no sense... all the references and callbacks. All this work for 4 buttons with arrows? It should not be this difficult. My end users will get stupid looking text buttons. @EricL A comprehensive tutorial would be nice, but it would take far more time than I'm willing to put into it. This tutorial assumes some experience with C# (you can put all of your classes and scripts into a single file, I think, maybe Unity requires separate files, but in general that just makes it very difficult to keep track of things), and Unity. There are a million resources, tutorials and answers to specific questions available for both C# and Unity (in particular Unity has some really good video series available for UI content), so there's no need to go over all of that here. For complete code you can check the source for Basic Orbit (it has changed a bit since this tutorial has been made, but most of the added complexity is in picking apart the stock KSP UI assets to make a matching style). There is also some more complex code for SCANsat's UI, and some simpler code for Maneuver Node Evolved. The Unity project files are also included in those GitHub repos. Overall I don't think the Unity UI system is that complicated. It is based on standard Unity objects, so most of the UI related work also relates to how most things work in Unity. 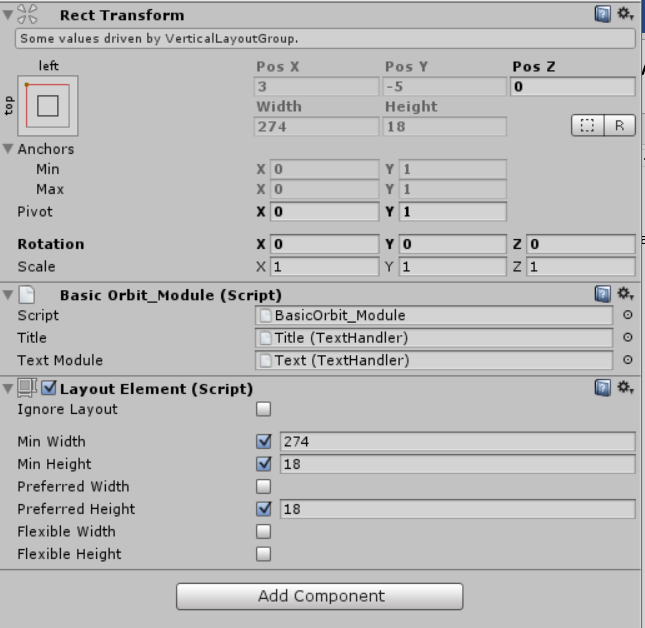 The Rect Transform and Layout Elements are probably the trickiest aspects to figure out, there are lots of tutorials covering them, but the best thing to do is probably just play around with different values and see what they do, being able to work within the Unity Editor makes this simple since you don't have to launch KSP to test things. Hooking things up with KSP is tedious, but not really difficult. You either have to just manually assign functions and listeners, or go through interfaces or some kind of event system. It takes some time to get your head around how to set things up, but once you manage that it just becomes tedious. I'm having difficulties understanding how the two assemblies are speaking with each other. I'm missing something in the initial post and its confusing me. I assume that we have the KSP assembly and the Unity assembly. 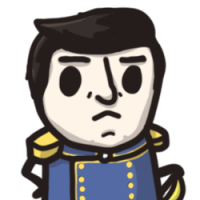 The Unity assembly does not need to discuss jack with the KSP assembly. The KSP assembly has an include of the Unity assembly? Which allows it to access the classes and variables? If this is so, then are we dealing with .dll assemblies or simply .cs files contained within the same project or folder? If the Unity assembly is turning into a .dll assembly... how is that possible? Please ignore me. I found the exact line which says exactly what I was asking. Sorry. I'm working on designing a UI and when I update and build using the part tool assembly compiler I can't find A) Asset Bundle file or B) anything with a .ksp extension. I know I'm doing something wrong, but I don't know what it is. @nightstalker101s KSP uses Unity 2017.1. It might not matter, but it's usually a good idea to stick to the same version. I don't know what's going on with Part Tools, maybe we'll get an update soon. But you don't need them unless you are doing KSPedia or parts. You can make a C# script in Unity (this is not something to add to your plugin, it is just for the Unity editor), you just have to make sure it's in a folder called "Editor" (so Unity project folder/Assets/Editor/script.cs). This adds a toolbar button along the top row in the editor, then it builds any asset bundles you have defined, and in this case, attaches a custom file extension. The target directory appears alongside your Assets folder. I understand your example code. I'm not tracking how you are loading them yourself into KSP. I'm assuming KSP loads all it's assets, goes to main menu, then when appropriate your plugin starts calling on the private asset bundle? I really don't "need" to know this, but it is very interesting as I may decide to use this later for some unknown reason. 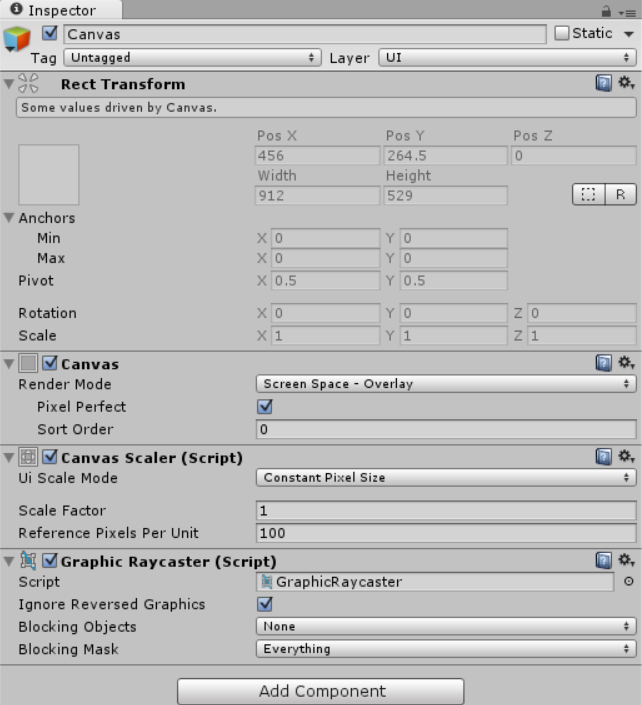 The newest Unity made several functions obsolete which are used by the parts tool. I installed the version you listed in your OP and had no problems building the bundle. It took me a minute to understand that literally I am building a UI bundle (I don't even need textures or anything actually in the Unity project) and then using Visual Studio to build two separate libraries (.dll). I had a serious oh duh moment when I realized what you meant in the OP. You did a great job at explaining it, but it really doesn't make sense (no fault of yours) until you are actually doing it. Even worse, if someone isn't familiar with Unity or other game engines it makes it even more difficult to understand. It seems silly to have to build a library (I understand why) in VS instead of just having the part tool asset bundler compile a .dll for any scripts attached to the asset bundle, but again I get why. Thank you for your assistance. Side Note: I am working on what I'm calling K.O.P.C.O. ("K.A.S.A. Operation Chief Campaign Overhaul"). I'm going to try to build more of a story line or story line feel without causing restrictions to gameplay into KSP. The player starts out being selected as the Operational Chief Director by 11 chairmen of the Kerbal Aeronautics and Space Administration. This was step one because the player will need to participate in interviews later and I needed a UI which is easier than trying to figure out how to program and animate a whole scene (maybe some day). Thank you again. KSP's loading system loads all of its own resources first (I assume before it even gets to the loading screen) then goes through the GameData folder looking for certain file types. .ksp files are treated as asset bundles. I only use .ksp for KSPedia entries, because I don't really know what KSP does with them and I've never really needed to find out. For most of my mods I just wait until the main menu screen then manually load the asset bundle (which is really just a collection of GameObjects) and doing whatever needs to be done from there, in most cases that is either adding stock KSP UI style sprites to the UI, saving prefabs for use later on, or replacing standard Unity Text components with TextMeshPro components. 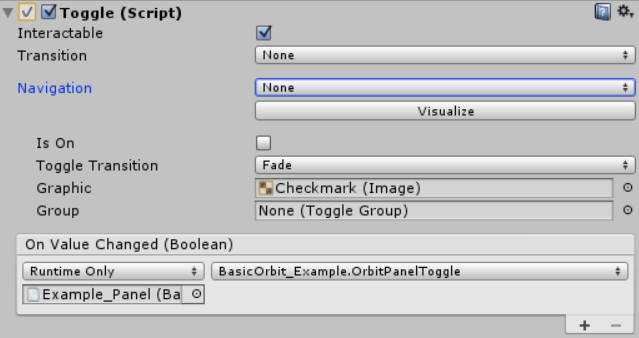 And yes, you don't really have to group things together for export in Unity, just label the objects you want with the asset bundle name and it will package together any sprites, textures, or whatever that those objects refer to. Which reminds me, now that KSP is using Unity 2017 I need to add another section here about using the new sprite atlas system. I am sorry but I am following by the letter your instructions and it just does not work. You are explaining it as if everyone here knows exactly what it should do, and thats not the case, I am an expert on c# and know my deal in Unity, but was unable to follow all you said, even reading it 10 times and doing it at the same time. Mostly because some stuff is totally out of context. And some parts are not explained at all. of course this is my first mod so i do not know much of ksp, and thats mostly the problem. My main problem is, after have done the Unity part, doing the rest (the hook). because from the ksp section It is unable to see what it should. Also, I need this as soon as possible. will be really gratefull for a fast answer. my main issue is, how do you do that, if you are in ksp and m_versionText.text, does not exist there. And if you are not in ksp, how you reference it? truly this has no head or tail. This is the relevant section covering what I think is the problem. Your KSP Assembly needs to have a reference to your Unity Assembly. Then your KSP Assembly can call any method and use any interface defined in the Unity Assembly. The reverse isn't true because you wouldn't be able to import your Unity Assembly into Unity if it had a reference to any KSP code. For our KSP Assembly we create that as always, and we add a reference to our new Unity Assembly.﻿ This means that the KSP Assembly can call any public methods from the Unity Assembly, modify any public fields, and implement interfaces. But the Unity Assembly can’t directly communicate with the upstream KSP Assembly, or directly use any KSP code. Your KSP Assembly needs to have a reference to your Unity Assembly. Then your KSP Assembly can call any method and use any interface defined in the Unity Assembly. I'm currently taking a look at this too and also had some confusion at this part. Should I reference the generated Asembly-CSharp generated by the Unity project? Do I also need to bundle this with my mode afterwards? Or should I force all this code into an external .csproj to the Unity generated project and bundle this? To be clear, the Unity Assembly is one that can be imported into a Unity project and used by assets within that project. It only required references to the UnityEngine.dll and (probably) the UnityEngine.UI.dll. This is imported into Unity as a compiled dll, not as un-compiled .cs files, then all of its classes are accessible by Game Objects within Unity. Whenever you create a Unity project it also generates an Assembly-CSharp.dll (and several others). This is not related to KSP's Assembly-CSharp.dll (well, technically this is how KSP's .dll is generated, through Squad's original KSP Unity Project). The new Assembly-CSharp.dll is the default assembly file where any code added through Unity is compiled. This happens when you create a new .cs script somewhere in your project's Asset folder. That code will be compiled into the Assembly-CSharp.dll. In general you should never have to do anything or worry about the Assembly-CSharp.dll generated by your Unity project. The Unity Assembly that you create is an already compiled .dll file that you import directly into Unity. So the answer is no, you should not reference the Assembly-CSharp.dll generated by the Unity project, and you should not include that file with your mod. When you make the KSP Assembly you do so basically the same way as you would for any other mod. You add references to the UnityEngine.dll and UnityEngine.UI.dll, and to KSP's Assembly-CSharp.dll. Then, in this case, you would also add a reference to your Unity Assembly .dll, so that it can be accessed directly from the KSP Assembly. Both the UnityUIAssembly.dll and the KSPAssembly.dll files are placed in a folder in KSP's GameData folder and loaded into KSP. The basic problem, and the reason for this whole run-around method, is that you can't import an assembly into Unity that has a reference to KSP's Assembly-CSharp.dll. Unity gets confused, or thinks there is some loop of references, or something, and it will fail to import. So if you want code that you can access from within the Unity Editor, then you have to make a separate assembly and go through some indirect method of tying that back into KSP's code. It isn't absolutely necessary to do this, Fengist has a great tutorial for how to make a UI with a single, standard KSP Assembly. It works well for simpler UI's, but I would have a hard time doing many of the things that I have in my UI's without having code that is directly accessible from within Unity. You can also use this same method for doing other interesting things, like adding custom behavior into KSPedia entries. Okay, that's the part I wasn't too clear about. That makes a lot more sense actually. I've been working a lot with the new object based UI lately on personal projects and yeah I do agree it's probably gonna be a lot more handy to have an assembly directly into Unity. Thanks! Other than that, is there any particular reason it seems to be recommended to anchor in the top left? Just as a convenience or does KSP handle it's Canvas in a specific way that makes this more convenient?